Wolverhampton Wanderers are in pole position in the race for promotion from Premier League 2 Division 2, and their remaining fixtures could also shape the destiny of their nearest challengers. Wolves beat Southampton 3-1 in their last match to overtake their rivals and go one point clear at the top of the table. Rob Edwards' team have 37 points and a match in hand over Saints. The league leaders next visit fifth-placed Newcastle United, who are six points behind them with four matches remaining, and then travel to Aston Villa, lying fourth on 33 points with three fixtures to go. It is tight at the top. Reading, sitting between Villa and Saints, are handily placed in third among a pack of five teams that has pulled away from sixth-placed Manchester United. These five teams are the leading contenders for the one automatic spot for promotion, which goes to the champions, and another route up to Division 1 via the play-offs. Teams ranked second to fifth will compete in the playoffs, with the runners-up hosting the fifth-placed team and third entertaining fourth in the semi-finals before a one-off final at the home of the highest-ranked team for the prize of promotion to Division 1. After their back-to-back meetings with teams currently in the playoff positions, Wolves host Stoke City and then visit Man Utd, who are seventh and sixth respectively and each also have slim chances of featuring in the promotion shake-up if they win their remaining matches. Leaders Wolves are unbeaten in four matches. Key player Niall Ennis: Enjoying a rich vein of form in front of goal, the 19-year-old (pictured above, centre) has hit five goals in the last four matches and has nine for the season, plus three assists. Saints' final three fixtures are against teams in the bottom four, with a trip to West Bromwich Albion sandwiched between home meetings with Norwich City and bottom club Sunderland. 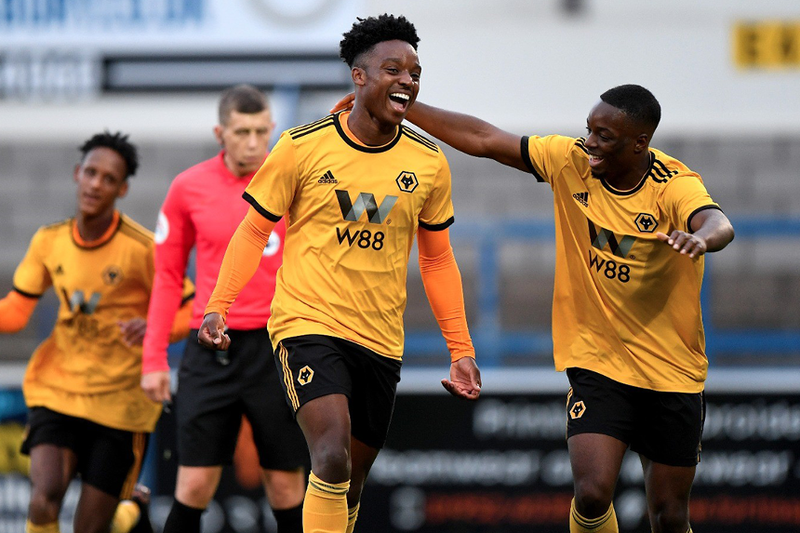 Key player Jonathan Afolabi: The 19-year-old forward has scored four goals during 2018/19, all of which came in a recent five-match winning run before successive defeats to Reading and Wolves. Aston Villa, who have 10 points from their last four matches, know they must avoid a home defeat to Wolves in their next match to keep their automatic promotion hopes alive. They then travel to Reading before finishing the season at home to West Brom. Key player Callum Rowe: The versatile 19-year-old midfielder has been a pivotal figure recently, helping Villa record three clean sheets in their last four matches and providing an assist during that time. Like Wolves, Newcastle have a match in hand. But the Magpies know a positive result against the leaders in their next match is essential if they are stay in the hunt for automatic promotion. Five points from their remaining fixtures - trips to Stoke and Middlesbrough either side of a home meeting with Man Utd, would guarantee a playoff spot. Key player Thomas Allan: The forward, 19, was a key man in Newcastle's four-match winning streak before a 3-0 defeat to Villa last time out, setting up Jonjo Shelvey's winner at Fulham after claiming a goal and an assist in a 3-2 derby victory at Sunderland.